Legion Alpha is now available for testing for some players, and we dove straight into the Pet Journal to check out all of the new possible pets coming in the expansion! Currently there are 67 datamined pets, however keep in mind that many are still works in progress and some might not be implemented at release. Some highlights include a Nursery Spider sold by none other than Breanni in Dalaran. Will this arachnid come with a tuffet, or is it too itsy-bitsy? Two more familiar vendors will find their way to Dalaran, Giada Goldleash and Tiffy Trapspring from the garrison Menagerie. They have three new pets waiting to be adopted, one being a Plump Cephalopod (pictured right). It was pointed out by Ian Bates (aka: Red Shirt Guy) that this type of pet is actually a cnidarian and not a cephalopod, but it sure is easier to pronounce the latter! Enchanters will be in high demand as they'll be able to craft three new pets. An Enchanted Cauldron, Torch and Water Bucket — now all we need is a clock and teapot to round out the cast of Disney's Beauty and the Beast. We'll find five pets from drops. 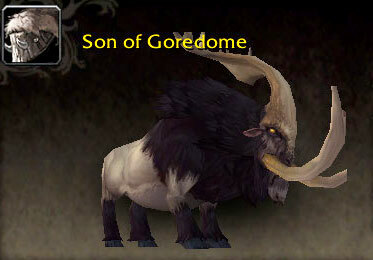 An interesting new pet model is Son of Goredome (pictured left), who comes from a rare of the same name. 27 new wild pets have been datamined so far. There's even a Dust Bunny from Dalaran. Guess the floating city hasn't been cleaned in a while. Four Legion quests will reward a pet each; two of which use an updated dragonkin whelpling model (example pictured right). Note that older whelplings have not been updated with this new model, but that could change in the future. All of this is just the tip of the iceberg. There are 21 pets still unaccounted for, but we'll just have to wait and see where they pop up! A few pet models are being updated in Legion. Say farewell to the current jagged, polygonal versions of the rabbit, rat, and squirrel. These pets will be getting a much needed make-over in the expansion (examples pictured below). The Sprite Darter Hatchling and Magical Crawdad are also receiving small touch-ups, while staying true to the originals. Check out Wowhead's huge screenshot gallery of the pets coming in Legion. We have to wonder though, where is the little moose calf that was previewed during BlizzCon 2015? Hopefully it will be a collectible pet! An expansion wouldn't be the same without some new trainers to challenge. There are currently nine NPCs listed as Grand Master Pet Tamers. One even has a unique title. It's exciting to see upcoming Legion additions and changes. We can't wait to discover more as testing progresses. Stay tuned! I read today that the pet cap is going up to 1500 in Legion using Pocket Pet Portal. I love the new pet looks and my enchanter is going to be super busy with legion's release!...but please Blizzard. 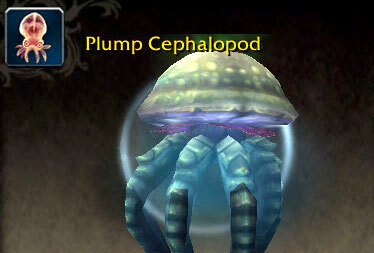 Rename those jellyfish pets. I'm a biologist and that really denatures my deoxyribonucleic acid! Cnidarian is technically correct but really medusozoa would be preferable as cnidarians include corals and anemone. Jellies have possibly the weirdest life-cycle on the planet and most of it isn't even recognisable as an animal so I wouldn't blame Blizz for getting them confused. Not sure why they decided to call the jellyfish model "larval squid". Why not just call them jellyfish? Every time I see those things next to the name "Cephalopod" my eye is gonna twitch. 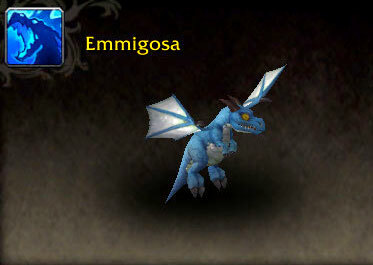 Heh, I've started levelling an enchanter just so I can make some of these pets! Murlocks are also getting an update.That could affect Terky. Any news if the 1000 Pet limit will stay. Or if we could have more pets in the future? It'd be nice if there was a way to have favorite pets per character, not account. I'd love for my mage's garrison to be nothing but animated books, brooms and the like roaming around, but my favorites are set for my dwarf engineer's garrison instead. And very happy about the model upgrades -- guess I need to knuckle down and get myself a vorpal bunny ASAP. One main question we should ask is: Will Blizzard increase how many pets we can carry? So far I keep having to send double pets to my alt banks. And now with all these additions I may not have room to carry them. So what gives? I hope the marmots will get an updated model as well! Artifact weapons or new pets? I can't decide which I'm more excited for!! These jellies would've been named medusozoe or just medusa aswell. So exciting! Love the look of the Cephalopod. The new bunny model looks amazing! lets just hope that they up the limit on pets then.